Tim came to ACI Mechanical in March of 2005 as the service manager. Prior to that time, Tim spent a year and a half as a remote service technician with the Comfort Systems USA National Accounts group. After building experience in the HVAC industry over the previous twenty years and occupying the service manager’s role at ACI for eight years, Tim is now tasked with Business Development and Small Project management at Comfort Systems USA Midwest. 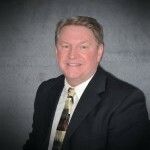 Having had a tremendous amount of sales success in all of his endeavors, Tim continues to provide Comfort Systems USA Midwest clients with more than they expect. Whether it’s overseeing the replacement of a small fixture or piece of equipment to a maintenance agreement with a 200 store retail chain, Tim can help and guide business partners through the entire technical and implementation process. While away from work, Tim loves spending time with his wife, children and grandchildren. Other passions include attending Iowa State Men’s Basketball games, restoring his 1972 Blazer, shooting, many outdoor activities and anything to do with aviation. In the past, Tim has volunteered as an AAU volleyball coach, traveling soccer teams coach and on numerous church and community activities.